So, you got a pack of Tarot cards, either from your local shop, Amazon or a gift from a lovely friend. 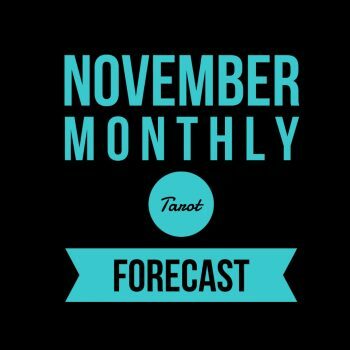 You have been studying up in the books you have gotten and on some great Tarot websites as well. You don’t have all of the meanings memorized or anything, but you know how to read, so you look things up as you go, and are able to piece it together. This is TOTALLY NORMAL! I would bet dollars to pesos this is where EVERY new Tarot student (self included!!!) has started. You ask a question, and pull a card. 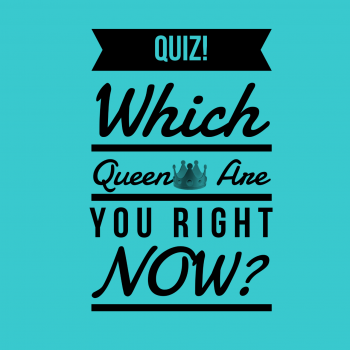 You may know by looking at it whether or not it’s an answer you want, but you look up the card in one of your books or websites anyway just to get an EXACT meaning, an EXACT answer to your question, amiright??? So after a very short amount of time usually, we decide that we want MORE info. We got this! We decide we are going to do a spread. So what do we do? We turn to the back of almost ANY tarot book and see the directions and card positions for (Ta-da!!) the Celtic Cross. So here we go…. 10 cards. Hhmmm, like a second ago we were doing one card readings, MAYBE three. But those three card readings didn’t have the info we were looking for, or the structure right? There is the past/present/future and many other versions of threes. We want something of substance. But this seems like all that is really out there, a one card draw, a three card past/present/future and BAM the Celtic Cross! Now yes, I know there are entire BOOKS dedicated to spreads, I happen to own one myself. Many tarot books and sites also contain a few other spreads, often specific to situations as well. But we are talking OVERALL here. OVERALL, it’s 1-3-10. But how do we go from looking up the meanings, or even KNOWING the card meanings on a 1 or 3 card draw to being able to do a Celtic Cross FOR REAL. 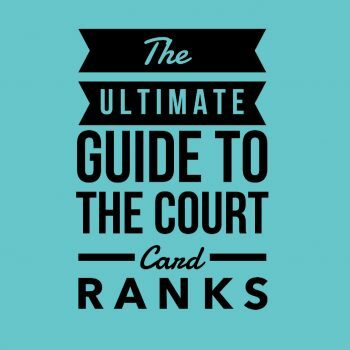 It’s more than just looking up the cards. Its positions, and how the cards relate to EACH OTHER, not to mention themes ect ect. Telling the story in the cards. It takes a bit of practice and a working relationship with the cards I think to get good at that. Now this is speaking from personal experience here ya’ll. Let me tell ya, I was DOWN IN THE TRENCHES on this one, and it was NOT pretty. I can tell you some horror stories. 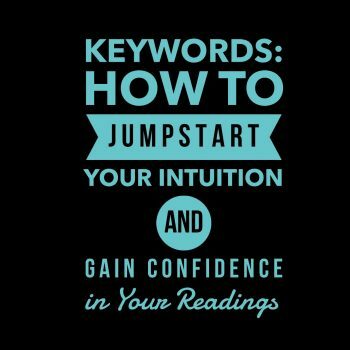 When I first started reading, I received the advice from a world renowned Tarot GrandMaster who knows her stuff (MKG) to read for a large number of people in rapid succession (like at an event) for free. 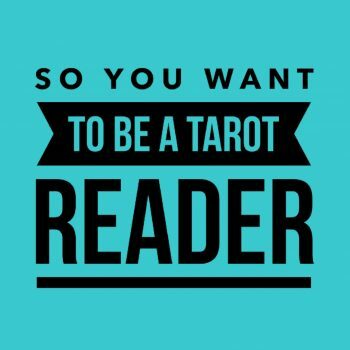 So I did, with a friend who was also starting to study Tarot. We worked a charity fundraiser Halloween Ball for a non-profit organization that helps animals. What a hit we were! The line to the table! All night! Well no wonder, here sat two idiots doing 10 card Celtic Crosses (and not even WELL) at an event that dictated one or three card draws! What a nightmare (but damn did I learn a thing or two!). 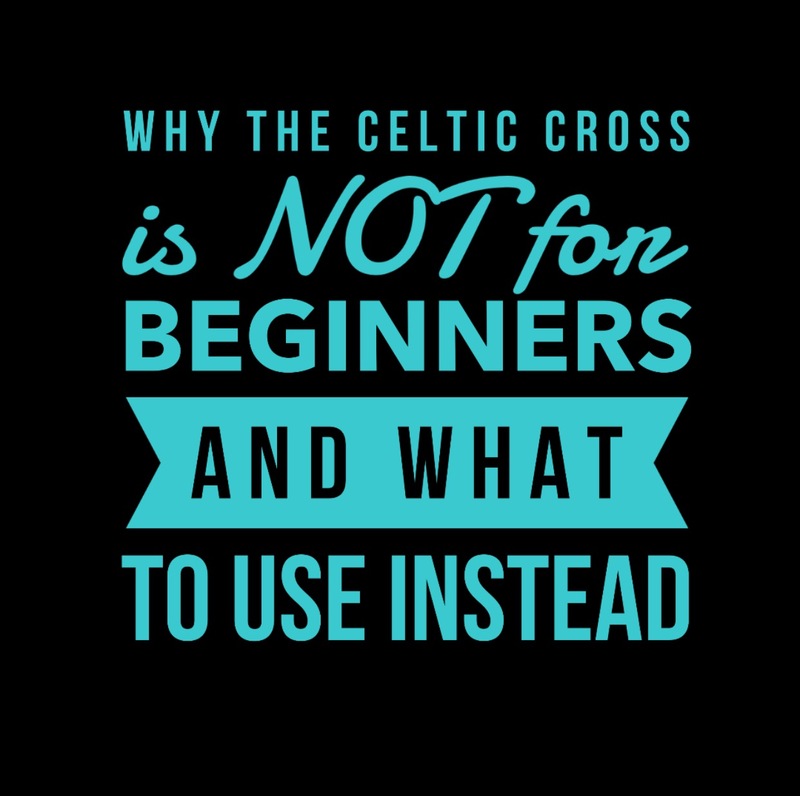 Ok, so let’s take a look first at why the Celtic Cross is NOT for beginners. First of all, its 10 cards. Nuff said. Ok seriously, the reason why 10 cards is a factor is because of HOW a good reading unfolds. Yes, we can look up all ten cards. Yes, I know we do. I have. You have. We all have. HOWEVER, a good reading is not composed of “this happened in the past, this happens next, this is what you are thinking about” ect ect. In a good reading, we take all of the information we receive from the cards, and we blend all of that information, all of that meaning, into one beautiful interwoven story. The cards then help us flesh out the details. However it is INCREDIBLY hard to find all of that common meaning from TEN cards when we are relatively new. We spend SO much time looking up each cards meaning, figuring out what it means in the position it’s in, AND relate it to the cards around it, that we aren’t able to see the bigger picture, the forest through the trees. We need to be able to see the big picture, the overarching themes, as well as the details. That is a monumental task with a ten card spread, you end up with a wide range of info and in the end you just focus on card number ten, the outcome. I’m going to show you a spread that has half this number of cards. So YES, it is still a step up from the one and three card draws which is what we are looking for, so if you are new you will still need to put your thinking cap on, but it will cut down on the amount of cards you are trying to synergize and challenge you a bit at the same time. Let’s talk about the positions in the Celtic Cross, which is another reason I feel this spread is not that great for when you are just starting out. Too many! Just too many unnecessary positions when you want to ask a question, and YES get some decent info, but damn, talk about overwhelm. Can we talk about Card 5 (as depicted in MOST spreads, the card above the small cross of cards 1 and 2), What Crowns You? I know I am not the only tarot reader when I started who looked at that and said “what the EFFF is what “crowns” me???? What the hell does that even mean??? What CROWNS me……ponders, ponders, ponders…. I’ve seen it as “what you are thinking about”, or “what is the highest outcome possible”, or “what you are trying to achieve” ect ect, which I didn’t get because in many CC spreads, card 9 is “hopes and wishes” so that seemed kind of the same to me. It led to confusion. You know how that goes, if you don’t have a clear understanding of the POSITION, how the heck can you understand the CARD that occupies it? Then there is the card at the very bottom, opposite card 5, under the small cross of 1&2. The past. But so is the card to the left of all that. What? Then from what I read, the bottom card was the deep past and the left side card the recent past. Then it was that the bottom card was more like past events that made up the foundations of who you are, or why you feel the way you do about this situation ect ect. Again, I just felt like this was all too much info for every question I had. YES, I want more than a three card draw, but NO, I don’t need all this. Moving up the tower (cards 7-10)…again…how I feel in the situation (7), how others see me (8), but wait I have read different interpretations for those cards as well. Some people use Hopes and Wishes for card 9, others have used Advice. Some people have even used 11 cards. So this is another issue for a beginner….the spread actually has several small variations in it that can really add up, and can definitely add to your confusion. But if you are able to get past ALL of the variations, understand ALL of the positions, you are still left with synthesizing the meanings (in the positions) for 10+ cards. This is likely going to lead to a very cookie cutter interpretation, book in hand. I get it. You don’t WANT past/present/future…heck most of the time the only card there you really even care about is the future. You WANT the type of info that the Celtic Cross spread provides. So what is a card-loving Tarotista to do? Well my friends, TA-DA! I give you, the Mini Celtic Cross. You may also hear me refer to it as the Modified Celtic Cross. I first developed this for the charity Halloween Ball card reading event we do. Although it’s been many many years, we still do this event every year. Of course now they pay us ;). This is probably my longest running engagement, considering it started as a free practice event when I was brand new to card reading! But this event has challenged us every year to assess what’s working and re-invent what not. Every year, STILL we change things. Now the spread I’m about to show you, I have modified down AGAIN for that event, because 5 cards is still too many when you are reading for large groups. However, it is PERFECT for everyday readings, readings for friends, and even clients eventually. It’s wonderful for practice as well, because it also has very clearly defined positions. This is something that I want to talk to you about for a moment as well. Many people “free read”, meaning they just start turning over cards and reading what they mean. 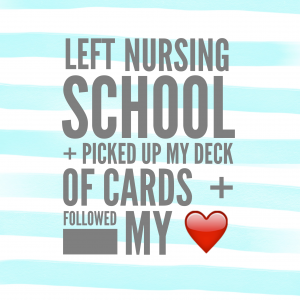 This is great when your intuition muscles are well-flexed! I definitely like this idea personally, but when you are just starting out and especially if you are reading for anyone else, having CLEARLY defined positions will be very, very helpful. This spread not only uses positions, they are also clearly understandable (no “crown” crap!) and they are also positions that I thought to be MOST USEFUL for practical readings. For everyday questions, I tried to create positions that would address the most important points. 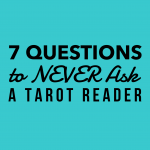 For more spiritual or thought provoking questions, self-exploration or path-working, all of which Tarot is AMAZING for, this is really not the spread for that. I also left out positions for “the past”. With only 5 cards, I want to help you get the information that I think is going to be most useful. Not to say that looking to the past doesn’t give us amazing insight as to current and future ways of thinking and being, but we need to draw the line somewhere and I think the other positions are more appropriate in a practical reading for everyday questions. So here we go. This is what the spread looks like. As you know, there are 5 cards with positions. Don’t forget to download the visual diagram that shows the actual spread and an example of the Mini Celtic Cross in action. These two cards should CONFIRM THE READING for you. These cards should give a fairly accurate depiction of what is going on. This could even be summed up in one card, as when you approach the Tarot with an issue, the first card (card 1) will show that situation. The more cards you add (card 2), the more details of the issue you get, specifically, the biggest obstacle surrounding the issue (not necessarily OPPOSED to the issue). So cards one and two are read together as the current situation/problem you are facing. Card 3, Things in your Environment that you may or may not be aware of, hereafter referred to as simply, Environment. This card is not directly from the CC spread, but loosely relates to Card 8 in the CC, what others think of you or what is “outside” as some would say. At first glance, after all of the trimming of the fat, why keep this card? I have actually found this card to be QUITE interesting! Many times, there is more to the situation then what is depicted in the small cross. Something else “going on outside of the current scope” of the issue you are addressing, but it definitely has an effect on it. The reason it says things you “may or may not” know about, is because it truly is just that. Once this particular issue or piece of information is highlighted here by this card, you may recognize it and then understand or realize the part it is playing in your situation. However it is JUST as common, that this is information you were NOT aware of or completely failed to recognize was happening. Sometimes it is an opportunity, a choice, a different option or path you hadn’t considered. This card is definitely interesting! Card 4 is Advice, and this is taken from the CC position 9, at least for those who use it this way as opposed to Hopes and Wishes, as I do. 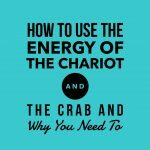 I primarily believe the Tarot to be a tool for self-enlightenment, empowerment and guidance. I firmly believe in receiving advice to help me reach my desired outcome, rather than just prediction. Now here is my theory on the advice card. I believe the Advice card should ALWAYS be followed, regardless of the Outcome card. Card 5, the Outcome card shows us the most likely outcome based on the path we are currently traveling, the decisions we are currently making, and the mindset that we currently have (yes, the Universe knows…). If it is a favorable card, congratulations! You are already destined and headed for the outcome you desire and the advice card will help you achieve that! If the outcome is NOT desired, the Advice card is what you are being advised to do to make changes to where things are currently headed. If you follow the advice card, you can read again after some time has passed to see if the outcome has changed, and what the new advice is. Even if it is still not favorable, the advice may change to a new step to be taken. So there you have it, the 5 card, Modified or Mini Celtic Cross. This is absolutely my favorite spread for everyday use. I still use the CC for larger issues or if I am looking for more background info, or depth, but this is really my go-to spread. It addresses the most important things I need to know, without the fluff. I created this myself a long time ago for my own readings. It is by no means fancy, and probably some similar version is being used by others elsewhere! However, it does EXACTLY what I need and I hope it will do the same for you. I think it’s a smart idea to play with what you are doing until you find something that works for you. 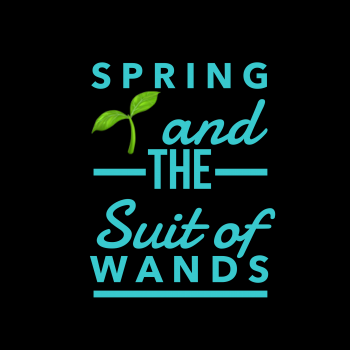 This may be a jumping off point for YOU to create a spread that works for you! It’s time to take it out for a test drive with a reading! Use this spread on a question you have and tell us below in the comments, how did this spread work for you?